1. The 7-Minute Workout. We are both finally on board after months of talking about it. The girls like to do it with us which has been an interesting/hysterical experience. I really can't stand to have George in the room though. As soon as I start the pushups he is biting my hair, licking my face, behaving like a puppy. We have the apps downloaded on our phones and iPADs. 2. This graphic novel. An adolescent girl going through a rough time reads Jane Eyre. Pretty lovely. 4. 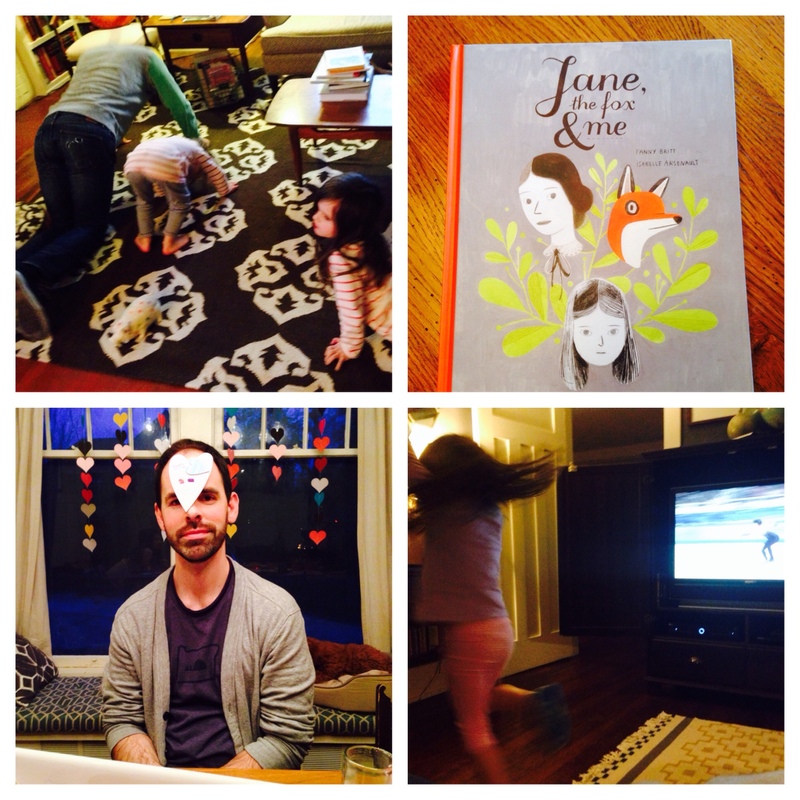 Watching the Olympics, especially figure skating, with the girls. They run upstairs, put on their slippers (flippers as Jane calls them), transform them into ice skates and then the twirling begins. My favorite definition of perfection: the ability to do that for which I am created.